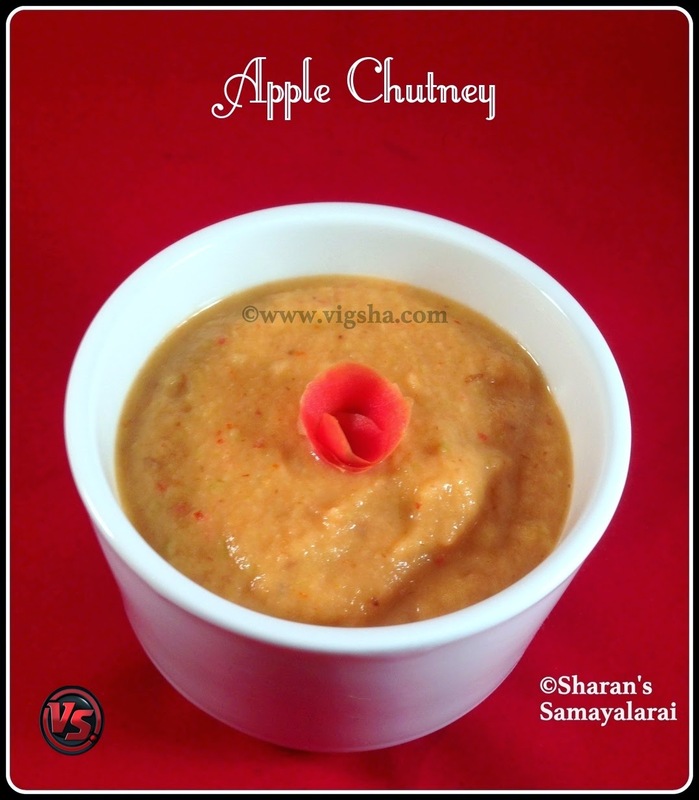 Apple Chutney is a sweet and sour flavored chutney. This is a simple tiffin accompaniment using apple. This chutney is a great way to use the sour apples. The color of the chutney depends on the chillies (red or green) used. 1). Heat oil in a pan, add cumin and let it splutter. Then add ginger and garlic, saute till the raw smell goes. Then add roughly chopped onions along with salt and mix well. 2). Add red chillies and saute till the onions turn translucent. Then add chopped apple and saute for a minute or two. Switch off ! 3). Let the sauteed items cool completely. Finely grind it along with tamarind and little water. Seasoning is optional. # Use tamarind only if you are using sweet apple. 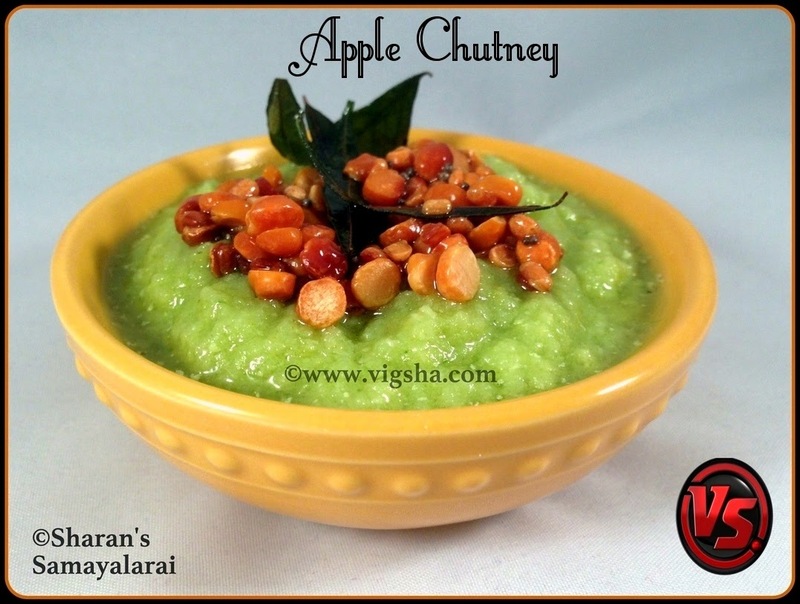 # If you are using sour apples, exclude tamarind or the chutney will be very sour. Instead add jaggery for balancing the flavors. # I have posted pictures using green and red chillies separately. In the main picture I have used green chillies so the chutney looks green in color.